So you’ve been thinking of renovating your kitchen and you’ve decided that 2016 is the year you’re going to do it… but have you thought about making sure your kitchen style will be up-to-date? If you’re going to spend all that money on a kitchen you need to make sure that you’re happy with your choice in style and features. We’ve put together 5 key kitchen design trends so that you can be certain that your kitchen is not instantly behind the times. For several years now we’ve seen the kitchen design industry leaning towards minimalist design with barely a thought of practicality. Designers have hidden away every personality trait of your kitchen behind imposing glossy cabinets. 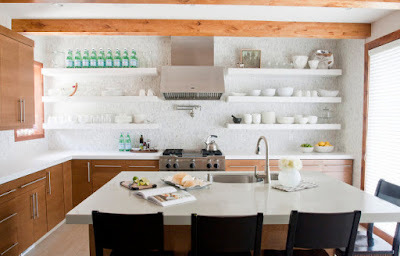 However, there is now an emerging trend of using open shelving to show off all of your kitchen accessories. This gives you an opportunity to give your kitchen some personality, but also it makes your kitchen more practical; you can now find what you’re looking for much easier. Of course you won’t want everything on display so it’s best to combine shelving and cabinets. Walls are often forgotten and neglected as part of the kitchen design; they are predominately just left as a single color. Incorporating wallpaper into your design is proving to be a big trend this year, but not just any style – we’re talking about the big pattern and multi-color wallpaper. Adding this patterned wallpaper is nothing new; it has been used for feature walls in bedrooms and lounges for years, but it is rarely used in the kitchen. Wallpaper can give you the opportunity to complement the architectural elements throughout your kitchen and add stunning contrast to what would otherwise be a simplistic color palette. In recent years there has been a definite pursuit of the minimalist and modern design with the traditional styles being left behind. Homeowners are now shunning these ultra-sleek designs in favor for the best of both worlds: a combination of the traditional and modern design. These designs bring the clean lines and simplicity you see in a modern kitchen with the character of the traditional design. Plain door fronts are out, and instead people are going for classics such as the Shaker doors; gone are the stainless steel worktops in exchange for marble or wood. It is a very delicate balancing act between the two designs, but when done right can result in a warm, homely and yet practical kitchen. Those looking to give their traditional style kitchen an update could certainly benefit from this approach. By simply adding a few modern design elements it is possible to achieve the latest look whilst avoiding the cost of a whole new kitchen. Furniture-style cabinets look set to become big in 2016; there have been a few brilliant examples of these cropping up for a few years now, but this year they are really taking off. These are non-imposing cabinets for your kitchen which give your kitchen the same feel as a living room or dining room. They celebrate the different elements that can make up a kitchen, rather than thinking of your kitchen as just a work station. 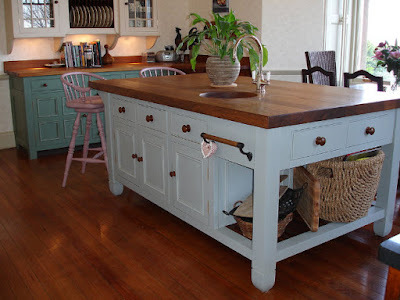 You can also mix and match items; giving your kitchen that personal design touch. Black never really went out of style and probably never will; it has always been used to make a bold statement in design. However, kitchen designers have always been too afraid to use it in any big way. Until now. 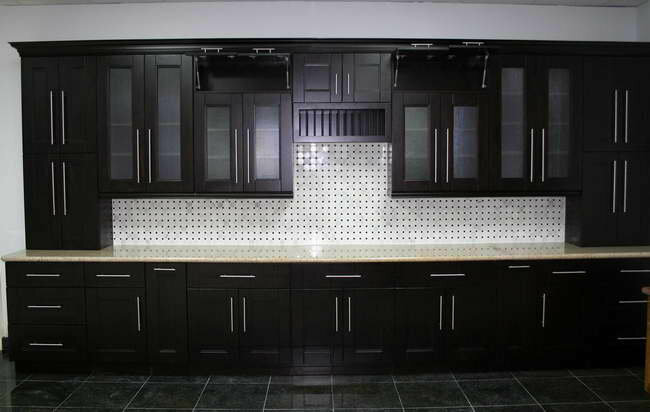 There is an emerging trend of using black as the main color in the kitchen by making all of the cabinets black or painting some walls black. If done right it can make the kitchen look sleek and modern, yet still warm and homely. It can provide a stunning contrast to colorful walls or patterned wallpaper, really highlighting the wall and making it even more of a feature. If you’re not set on a color or want something a little bit different then black could be the ideal solution. If you love the white kitchen, but are not a fan of how plain and boring it can sometimes look, you need to inject some color. More kitchen designs are taking the minimalist kitchen and throwing some color in the right places. 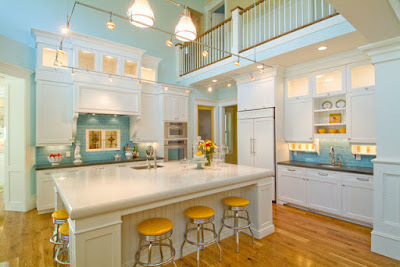 This can be: using a colorful splash back, colorful lights or even just by displaying colorful items around the kitchen. Adding splashes of color allows you to inject some of your personality into your kitchen. Plus, because you’re using the plain white kitchen as your canvas it means you can add the color once the rest of the kitchen has been installed. Moreover, you can easily update your plain white kitchen without much hassle. 2016 is set to be another exciting year in kitchen design with some incredibly innovative designs being shown off. As always, we’ll see some surprises and some designs that simply don’t take off. In time we will be able to see which have evolved into trends and which become a distant memory. But in the meantime if you incorporate whichever of the above styles or features that take your fancy, you can rest assured that you will be the proud owner of a trendy kitchen that will look good for years. This guest blog was written by Designer Kitchens for Less, the UK based supply of cheap designer kitchens. Get in touch for a quote on your dream designer kitchen. 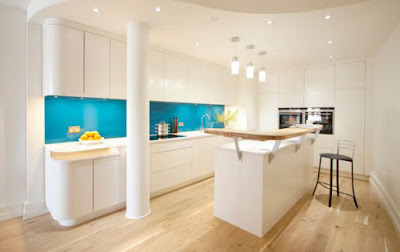 Visit us at: www.designerkitchensforless.co.uk. A bar stool to a kitchen area is like a fine glass of wine to a Friday night - an addition that can only make things better and inject a vibrant feel to your home. As wonderful and versatile as they are, choosing the right set is only a matter of taste and the style that already prevails your space. The most important factors to consider are material and style. Nowadays, most wooden bar stools are made of hard rubber-wood due to its durability, but there are other wood materials that are also appealing. There’s also rattan, wicker and teak wood, although they might not be as sturdy. Fortunately, wooden bar stools are generally quite easy to maintain and clean. Stainless steel is by far one of most strong and resistant materials for kitchen bar stools. If you are one of those people that want to buy a kitchen bar stools set once and have a piece of mind for a long time, this is the material you are looking for. Make sure that the stools you get feature at least 80% of steel as a part of their construction. If you want something lighter than steel, aluminium could seal the deal by offering similar quality, low maintenance and contemporary design. Metal kitchen bar stools easy to disinfect with a quick wipe down. These bar stools are the mightiest tool if you want to match your interior just right because they come in an endless array of covers, be it leather, linen, faux suede or vinyl. They can easily become a part of the seamless blend you are aiming to achieve. People also love these due to the comfort they provide with the convenient padding for the back and as an addition, many of these kitchen bar stools feature a footrest as well. One minor disadvantage is the fact that they are not as easy to clean and you will have to be very careful not to spill something on the upholstered surface. If you’re all about easy maintenance, this material can surely offer that, but with so many amazing choices of material that come with more sturdiness and class, plastic is regarded as probably the last one you should opt for, if you want your interior to speak volumes about your taste, that is. If the process of choosing the perfect type of material is to receive an extra pair of wings, that can undoubtedly be achieved with a sustainability factor. If you want to excel at both - helping our planet and decorating your home, this is a great way to do it and you can find all of the aforementioned types in the form of their recycled counterparts, except for upholstered. Simple, straight, strong, new age – these are the qualities you should look for if you’re after a futuristic feel. The best material choice for this style is by all means steel. Make sure that the chairs you choose are easy to assemble and feature PVC seats. This style simply pours that modern vibe into the area and with minimal effort you'll be able to pull off a very cool futuristic style. If you can imagine yourself sitting on one of your bar stools, hands wrapped around a warm mug, a quiet jazz song playing in the background, then wooden bar stools from top to bottom might be right up your alley. Just make sure that the rest of your décor can respond to this vintage challenge because you wouldn't want it to look as if you've kidnapped the stools from a retro times and now you are desperately trying to adapt them to your modern design. Being unable to choose between traditional and modern is actually a pleasant design symptom. It can allow you to have the best of both worlds in a very unique way. Talk about a style that defies classification. This style can be best achieved by opting for a set of bar stools that feature black metal frame and wood. The wooden part will add to the traditional appeal, whilst the black metal frame will speak of futuristic simplicity, easy maintenance and a keen eye for elegance.